The company announced the new feature, called Women Preferred View, this week after months of local research into the preferences and concerns of women drivers in the region, according to the company. The effort is part of a broader push by Uber to cater to women drivers in the region. Saudi Arabia ended its ban on all women driving in the region last June. Saudi Arabia places many restrictions on women and bans the mixing of sexes at public events, but some of its constraints have been eased in recent years. In June, Uber rolled out a registration portal for Saudi women to learn more about its initiatives for women in the country. Uber said it conducted a recent study that found the majority of prospective women drivers were only interested in driving women riders. 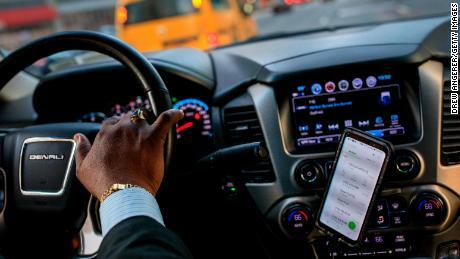 “This newly introduced feature will open new doors and opportunities for women as Uber driver-partners, while being conscientious of local cultural norms,” said Abdellatif Waked, general manager of Uber Middle East and North Africa, in the company’s announcement about the feature. The company said it has no intention of rolling out the feature to other markets as of now. 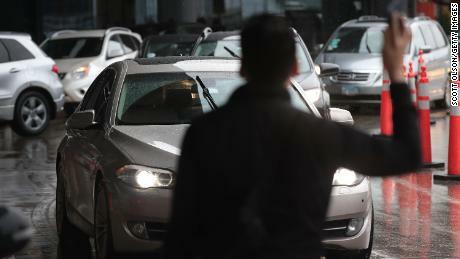 “The women’s preferred feature was designed specifically for Saudi Arabia based on extensive research done to understand the needs of women in a country going through a significant cultural transformation,” Shaden Abdellatif, Uber spokesperson for the Middle East, said in a statement to CNN Business. In the US, customers and lawmakers are urging ridehailing companies to roll out more features to address safety issues for Uber and its chief US competitor, Lyft in light of safety-related incidents. The South Carolina House recently passed a bill that would require rideshare vehicles to display illuminated signs in the wake of the death of a college student who got into a vehicle she believed was her Uber in late March. Another effort, a MoveOn.org petition, called for the ability for riders to select women drivers only. In August, when the petition first circulated, safety advocate Cindy Southworth, executive vice president at National Network to End Domestic Violence and safety board member at Uber, told CNN Business that this would be difficult to execute. Although rideshare companies can confirm the identities of their drivers based on their applications, it’s difficult to do the same with passengers, Southworth said. For example, a man, in theory, could use the feature to prey on female drivers. “Conceptually, the idea of being able to pick the gender of your driver is appealing,” she said, likening it to her preference for female doctors when given the choice. In its filing to go public last week, Uber addressed safety incidents and people impersonating drivers. Uber warned investors about a safety-transparency report it expects to release this year, which will include data on claims of sexual assaults and other incidents on its platform. Uber pledged to release this report nearly a year ago in response to a CNN investigation that found at least 103 Uber drivers in the United States had been accused of sexually assaulting or abusing their passengers in recent years.